← Still time to find that special gift! 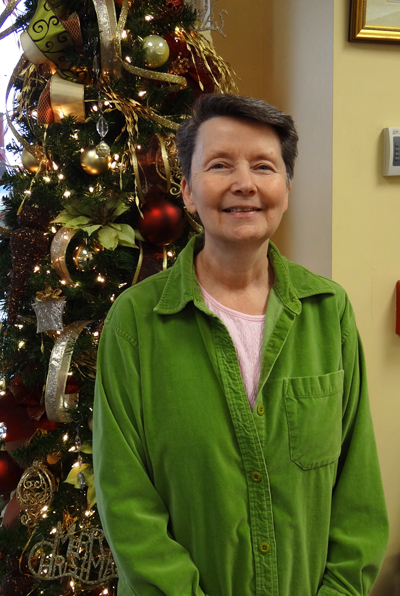 Our Employee Pick is from Cindy at our Northeast store. She picked the Benchmark collection of rings. Why did you pick Benchmark? – I love that they have a variety of all types of metals to choose from. Each ring is extremely durable and scratch resistant. Also, each Benchmark piece comes with a registered # and a lifetime warranty. What can you tell us about the differences between Cobalt, Tungsten and Titanium? – All three metals are extremely durable, Cobalt Chrome and Tungsten being the most scratch resistant. Cobalt Chrome wedding bands are less scratch-resistant than tungsten wedding bands, but more scratch-resistant than titanium wedding bands. Cobalt Chrome wedding bands have an uncompromising strength. Tungsten rings are durable enough for daily use and keep their original polish and shine for life. Tungsten carbide can only be scratched or damaged by extreme conditions, for example: abrasion from diamonds or corundum. Consequently, activities that would normally require the removal of conventional wedding bands for their protection can be performed without concern by the wearer of a tungsten carbide wedding band. Titanium is usually said to be scratch-resistant, but it can show normal wear. Titanium wedding bands will quickly begin to show small scrapes and scratches just like all types of gold and platinum rings. Although titanium is a extremely hard and a very durable metal, it can still be scratched by abrasive materials such as: other metal, rocks, sandpaper, and even hardened steel tools and utensils. The good news is that we should be able to make your titanium ring look new again with a little polishing. Can any of these rings be removed in an emergency? Yes. In the case of an extreme emergency, any of these rings can be removed. Here is some history about the Benchmark company – The name Benchmark, symbolizes “the point by which all others are measured.” Forty years ago, Tom Tosyali built his 1st factory with the intention of creating the “Benchmark” in wedding rings. His products have been built on the premise of being the highest quality wedding rings in the market. For this to be achievable, he has built his business around the highest of technologies to insure that customers consistently receive the “Benchmark” of wedding rings and customer service. Benchmark wedding rings are neither arbitrarily designed nor created. They are crafted to perfect form, shape and purpose. Every angle has been designed from a concept, and built to perfection. The final presentation, in which you see, is only a mere reflection of the extraordinary manufacturing Benchmark possesses which has taken years to develop and perfect. 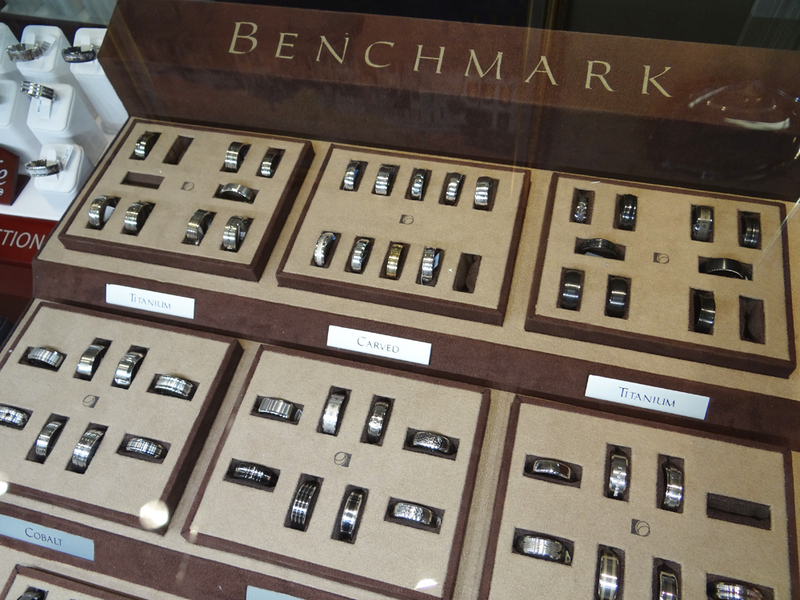 Coupled with Benchmark’s outstanding Lifetime Guarantee, these rings will always uphold the appearance they were built to have. Thanks Cindy! 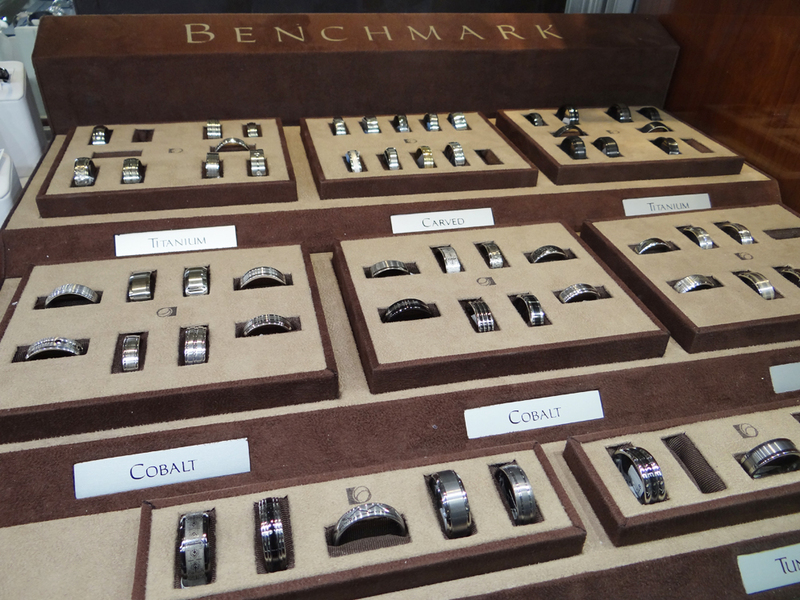 Stop by today to see our Benchmark Collection! This entry was posted in Employee Picks, Jewelry and tagged benchmark, cobalt chrome, Jewelry, jewelry warehouse, rings, titanium rings, tungsten. Bookmark the permalink.